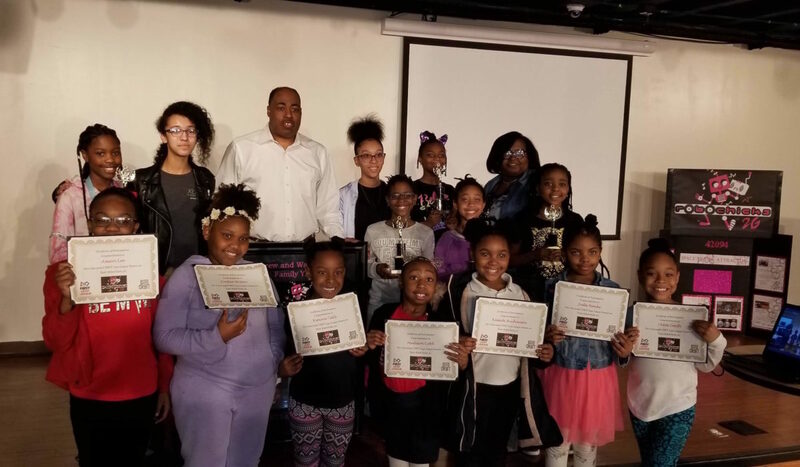 RoboChicks 2G Second Generation (R2G) recently held an Awards Ceremony at Andrew and Walter Young Family YMCA. Even though the team did not win an award at the competition, RoboChicks Team Captain Madison Kenney used part of her winnings from the National Society of High School Scholars STEM Award to purchase trophies for the girls that competed at competition and certificates. The Young Family YMCA has committed to cover the cost so the RoboChicks can continue to coach R2G for the 2019 Season and 2019 FIRST Lego League Seasons. 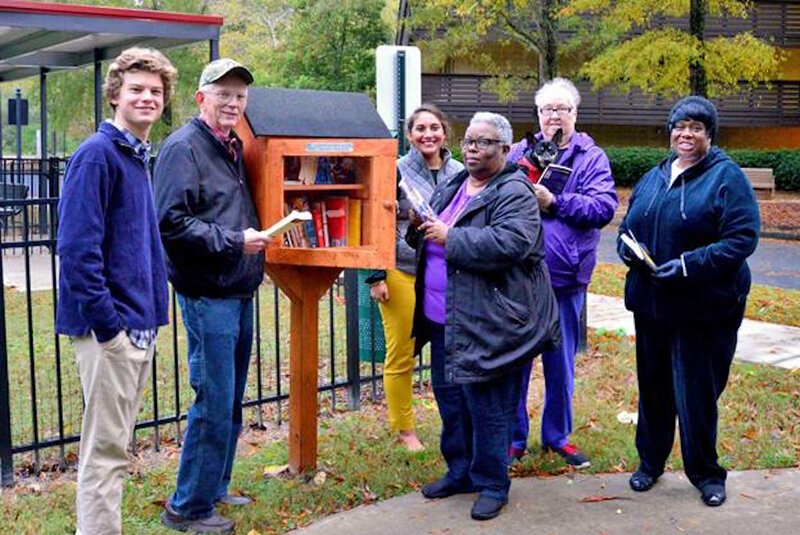 Cooper Roman, a Boy Scout and Peachtree City resident, recently built and installed four libraries on the campus of Christian City. 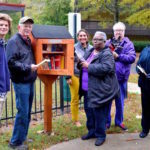 The libraries are located outside each of Christian City’s three Active Senior Living patio home clubhouses and next to the Dog Park. Cooper first learned about Christian City during his family’s search for housing for his grandfather. This contributed to his Presidential Service Award. Cooper has been in Scouting since third grade. He is a sophomore at McIntosh High and a member of the school’s lacrosse team. Alpha Kappa Alpha Sorority, Inc., Georgia AKA Day at the Capitol’s theme is When Women Vote – Women L.E.A.D. With Excellence. The day included educating members on the legislative process, voter registration and election reform, social justice issues and advocacy for legislative issues that impact the black community, healthcare and women at the seat of power. The day began with greetings from Atlanta City Council President, the Honorable Felicia Moore. Moderated by Emmy Award-winning news anchor Donna Lowery, they addressed the importance of protecting voting rights in Georgia. Members of the sorority heard from newly elected Congresswoman Lucy McBath on key legislative issues. Under the leadership of South Atlantic Regional Director, Carolyn G. Randolph, and event chairmen, Georgia Senator Nikema Williams and Georgia State Representative Karen Bennett and Senator Horacena Tate, over 200 members of Alpha Kappa Alpha Sorority, Inc. gathered under the Georgia State Capitol’s Gold Dome to beckon the attention of elected officials to issues that are important to constituents. Georgia has over 5,000 members in both graduate and undergraduate chapters of Alpha Kappa Alpha Sorority, Inc.
By acclaimed Oprah Book Club author and playwright, Pearl Cleage, this funny and hopeful new play features artists from different generations and worldviews who must find a way to reconcile their different beliefs and make peace with lingering ghosts from the past. The play looks closely at women as they age, their place in society as they age, and how women’s voices are heard throughout their lives. Directed by the Alliance Theatre’s Artistic Director Susan V. Booth, “Angry, Raucous And Shamelessly Gorgeous” premieres on the Alliance’s newly renovated Coca-Cola Stage through April 14, 2019. 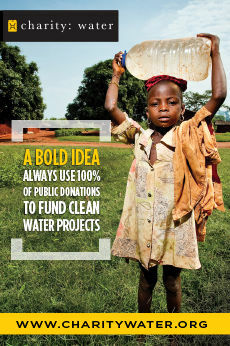 Cleage serves as the Alliance Theatre playwright in residence and is a renowned poet, activist, novelist and playwright. Her eight novels, including What Looks Like Crazy on an Ordinary Day, have been recognized by The New York Times, the Oprah Book Club, and others. Her many plays, including “Blues for an Alabama Sky” and “Flyin’ West,” have been commissioned and performed internationally. Over the Super Bowl 53 weekend, the Edwin Jackson 53 Foundation announced 53 scholarships were awarded to college students across the country, during The Giving Back Fund’s “Big Game, Big Give” charity gala hosted by Chris “Ludacris” Bridges and Jamie Foxx. The announcement comes on the anniversary of Indianapolis Colts linebacker and Atlanta native Edwin Jackson, who was killed by a drunk driver on Super Bowl Sunday in 2018. The Edwin Jackson 53 Foundation was started in 2018 to celebrate and carry on Edwin’s legacy of supporting walk-on athletes and college students invested in youth-oriented community service. The Edwin Jackson 53 Foundation will award 53 book scholarships to selected college students in Georgia (including students from Morehouse College, Spelman College, Clark Atlanta University, Emory University, and Georgia State University), Indiana, and California who have demonstrated a commitment to youth-focused community service. The purpose of the Edwin Jackson 53 Scholarship Program is to recognize and support college students who use their time and talents in their communities to inspire youth. Committed to the “We Are One” initiative, theJack and Jill of America, Inc., Atlanta Chapter partnered with Telic Empowerment (an advocacy group for families of differently-abled children), Factory 404 (a J&J chapter member design studio), and Variety (a children’s charity funding equipment for special needs children) for an MLK service project in January. 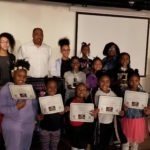 Factory 404 developed the blanket design, and the Atlanta Chapter made customized, weighted blankets for 10 children serviced by Telic Empowerment. The day began with partnering organizations’ presentations to children on the importance of acceptance and support for differently-abled children. The older children dispersed to stations to assemble the weighted blanket interiors. The younger children decorated crates to store the blankets. The activity culminated with the presentation of blankets at Peyton Forest Elementary School in Atlanta. Variety also awarded a Telic child a mobility device designed specifically for her. This activity captured the hearts of everyone and increased the sensitivity of children to those with special and different needs. Serenbe Playhouse is proud to present the musical “Shenandoah,” starring “American Idol” winner Taylor Hicks and “Broadway and The X Factor” finalist Rachel Potter through April 7, Wednesday through Sunday at 8 p.m. The story of one family’s struggle living in the Shenandoah Valley during the American Civil War leaps to life in a hidden field in Serenbe, transporting the audience to the rolling hills of Virginia. A theatrical journey of heartbreak and ultimately hope in a fight for human rights will erupt out of an actual Civil War reenactment with over 100 soldiers, cannons, horses and an all-star cast of singer/musicians in a fight for Freedom and Love! “Out of the Woods” campers will be guided by professional actors and teaching artists to create their own theatrical productions inspired by the great outdoors! Students in this one-week camp can expect to take part in some or all of the following: hiking, canoeing, feeding the Serenbe animals, participating in water-based activities, as well as taking classes in acting, singing, and dancing. These exciting experiences and educational classes will help them in finding a character and building their site-specific, outdoor play or musical to be performed for their parents and peers on the last day of class. This one-of-a-kind theatre experience includes a camp field trip to the Playhouse’s production of “Pocahontas,” a camp t-shirt, and an unforgettable summer.